After shedding some light on our promising youngsters in "Young & Wild" last spring, Japanese head coach Takanori Kohno was of the opinion that the older, experienced athletes and the insights that only they can give also had to be put in the spotlight. We couldn't agree more and so we are proud to present the new FISNC weekly feature "Experience personified". For the first edition, we have picked an athlete who has seen it all in Nordic Combined: great successes, hard times and a comeback to old strength: Magnus Moan. The 30-year-old Norwegian who never fails to polarise with his exuberant personality is a fan favourite and not only since he got back to old strength with his Olympic silver medal in Sochir. For FISNC, Magnus took a little trip down memory lane and shared his views on the present development and future of Nordic Combined. What would you says is the main difference between Nordic Combined when you started with it and Nordic Combined as it is today? In general, we are on a higher level now, I think. It's only one jump and 10 kilometres these days, the equipment is a lot better and the athletes simply jump and ski on a much better level today. 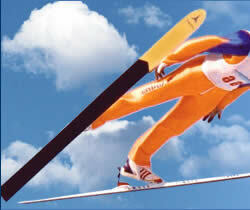 How do you view the development of the sport these days, especially also in regards to Ladies Nordic Combined? 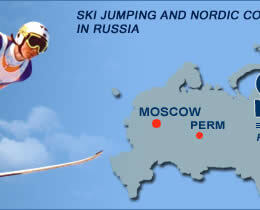 It is very good that FIS is working to get the ladies to start with Nordic Combined. 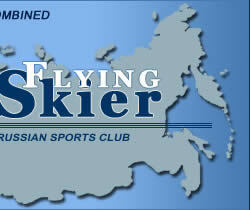 It will lift our sport to a different level. But still I feel that we are fighting against the bigger sports to get the attention we deserve. In my opinion we have the best product, together with biathlon. If you had one wish for the future of Nordic Combined, what would it be? I feel that Lasse Ottesen and the other people who represent Nordic Combined in FIS are doing a really good job. We, the athletes know what this discipline is about and we are proud of it. For the future I wish and hope that people will show more respect for Nordic Combined and pay more attention to us and our sport. Something you have always wanted to say in an interview? Yes! Try to be positive!! Do you have any plans for after your active career? Well, I have always wanted to be in a job when you work with people and also work together as a team. Favourite format: Well, that has to be the Individual Gundersen 10 kilometres… and also the Team Sprint!